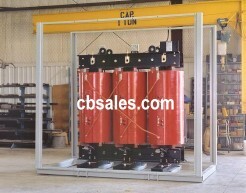 Let us design and install replacement Maxi-Cast cast resin power transformers. We stock these units with ratings up to 2500kVA and they are available for retrofill and upgrades up to 10MVA. Cast resin technology allows you to use these units in severe environments with virtually no maintenance. 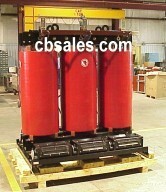 Additionally, in most applications the efficiency of these copper wound transformers pay for themselves over 10-12 years. Download a free copy of the 16 page full color brochure describing Maxi-Cast cast coil substation class transformers. Its a 1.3meg file in pdf format. For more details, please visit CBS Power Products. Need a quotation or stock check? Have a question? Contact us - we love to help!